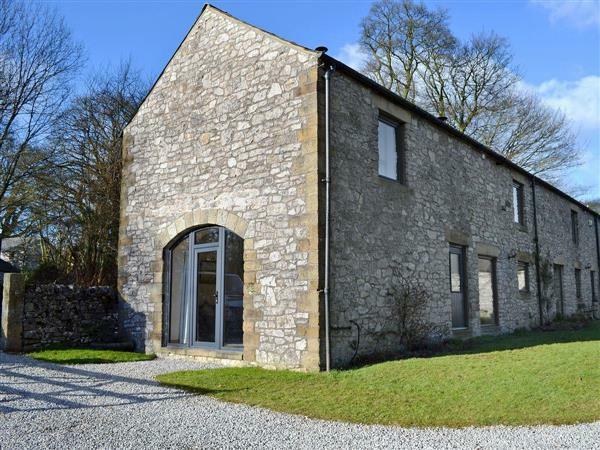 Barn End Cottage in Blackwell in the Peak, near Buxton sleeps 4 people. Set in a quiet hamlet this sympathetic end of barn conversion, adjoining owner’s home, is an ideal holiday location for walking direct from the door. Alternatively both Bakewell and the spa town of Buxton are within 5 miles with numerous attractions. Chatsworth and Haddon Hall are within easy driving distance. Cycle hire on Monsal Trail, 1 mile. Golf and horse riding can both be found locally. Shop ½ mile, pub 1 mile. Set in a quiet hamlet this sympathetic end of barn conversion, adjoining owner’s home, is an ideal holiday location for walking direct from the door. Alternatively both Bakewell and the spa town of Buxton are within 5 miles with numerous attractions. Chatsworth and Haddon Hall are within easy driving distance. Shop ½ mile, pub 1 mile. Ground floor: Living room with beams. Dining room/kitchen. First floor: 2 bedrooms: 1 double, 1 twin. Bathroom with shower over bath and toilet. Woodburner in living room (initial fuel included). Underfloor Oil central heating, electric, bed linen and towels included. Video. DVD. Electric cooker. Microwave. Dish washer. Washing machine. Use of t/dryer. Enclosed garden and furniture. Parking (2 cars). Holidays at Barn End Cottage run from Saturday to Saturday. For a better idea of where Barn End Cottage is, you can see Barn End Cottage on the map below. Barn End Cottage is in Derbyshire; should you be on the lookout for a special offer, you can find all the special offers in Derbyshire. It's always worth checking to see what is on offer at the moment. Do you want to holiday near Barn End Cottage (13838), you can see other cottages within 25 miles of Barn End Cottage; have a look to find your perfect holiday location.